Ranked as one of the best in the world , this beach is fast emerging as the most famous beach stretch in the country. 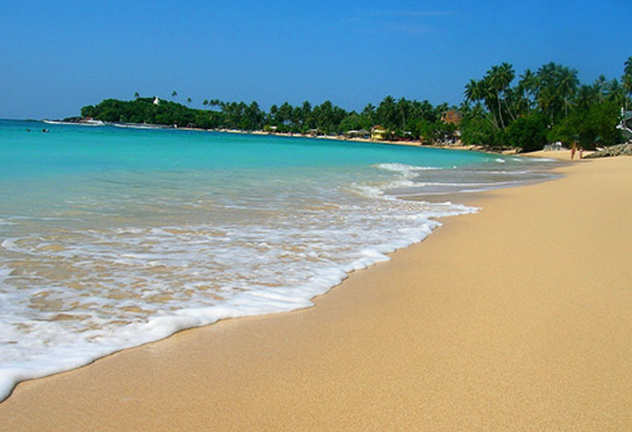 Unawatuna is a cresent shaped stretch of sandy white beach which is enveloped by clear blue waters. This beach is not only breathtakingly beautiful, but it is possibly one of the safest in the island, as it is protected by a coral reef. Unawatuna is the ideal location for relaxed and tranquil holiday, but on the flip side, this little village in the south is well known for hosting some rocking parties that continue till dawn. Small beach front shops also offer visitors the service of renting equipment needed for snorkeling and scuba diving.